Remember the month that everyone was talking about GDPR? Every email, every social post, every newsletter – suddenly GDPR was everywhere. Well, it’s that time again. Except this time it’s MTD – or Making Tax Digital – that’s stealing the headlines. 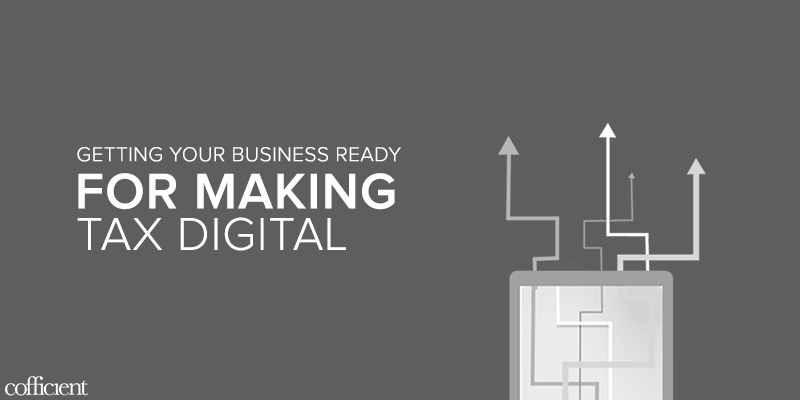 Read on to discover how you can prep your business for Making Tax Digital & download our free guide. One of the biggest problems with MTD is that people genuinely don’t have a clue what it is or how it affects their business. And that can pose serious issues, especially for VAT registered businesses, who will have to start filing their tax records digitally from April 2019 onwards. Most businesses are only just now starting to take notice of Making Tax Digital. A shocking 25% of VAT registered businesses are still using traditional methods to manage their accountancy system, whereas another 40% are uncertain how MTD will influence their business structure. By leaving it so late, many have lost the opportunity to engineer a smooth transition and have resorted to frantic, last-minute changes in order to comply with HMRC. We have put together an in-depth guide that covers all the most important elements of Making Tax Digital, from the dates and compliance factors, to compatible software and alternative systems that could work for your business. However, this guide isn’t just for the unprepared. It’s also for the shrewd businesses out there that want to turn Making Tax Digital into a competitive advantage that can benefit their business growth. Don’t just invest in a Making Tax Digital system that meets the minimum compliance requirements. Instead, you can use this transition to inject more efficiency into your business and future proof your processes.